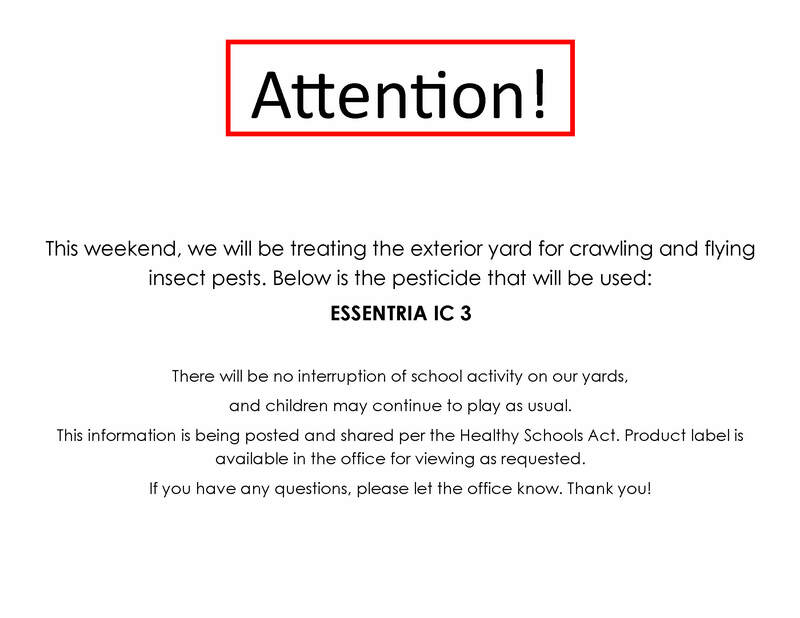 This weekend, November 19th, we will be treating the yards with a pesticide for crawling and flying insect pests. Please see the notice below. This entry was posted in Announcements, General on November 15, 2016 by schagoll.